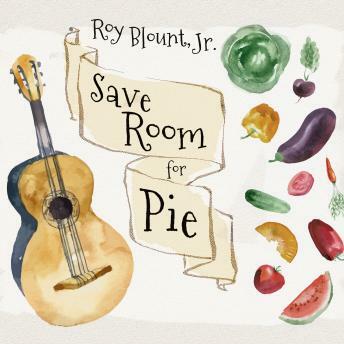 As a lifelong eater, Roy Blount always got along easy with food?he didn't have to think, he just ate. But food doesn't exist in a vacuum; there's the global climate and the global economy to consider, not to mention Blount's chronic sinusitis, which constricts his sense of smell, and consequently his taste buds. So while he's always frowned on eating with an ulterior motive, times have changed. Save Room for Pie grapples with these and other food-related questions in Blount's signature style. Here you'll find lively meditations on everything from bacon froth to grapefruit, Kobe beef to biscuits. You'll also find defenses of gizzards, mullet, okra, cane syrup, watermelon, and boiled peanuts; an imagined dialogue between Adam and Eve in the Garden of Eden; input from Louis Armstrong, Frederick Douglass, and Blaze Starr; and of course some shampooed possums and carjacking turkeys. In poems and songs, limericks and fake (or sometimes true) news stories, Blount talks about food in surprising and innovative ways, with all the wit and verve that prompted Garrison Keillor, in The Paris Review, to say: "Blount is the best. He can be literate, uncouth, and soulful all in one sentence."